Dancing fountains, a real waterfall or a pond with squirting water lilies? Water effects not only have a decorative added value but also provide cooling. 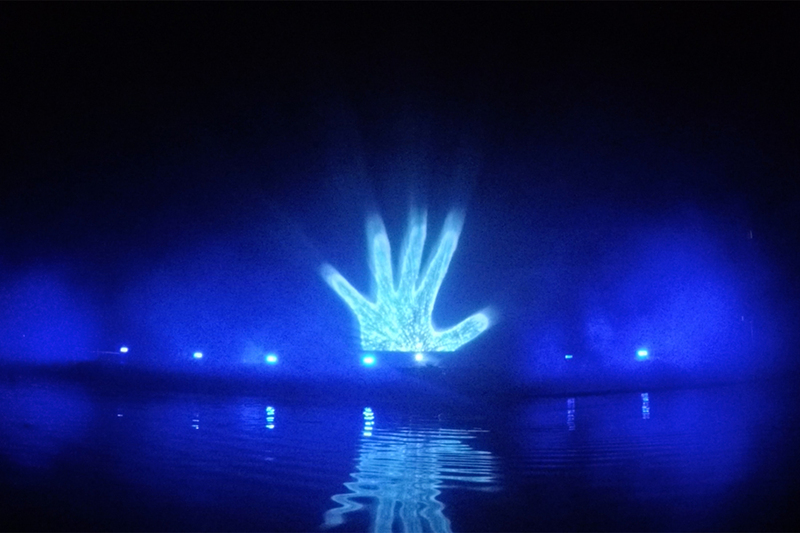 The new waterfalls of 7theaven are 2 meters wide and connectable up to 4 meters, creating a spectacular water effect that is also fully DMX controllable. These waterfalls are therefore ideal to give your event a Jungle or Indiana Jones theme. 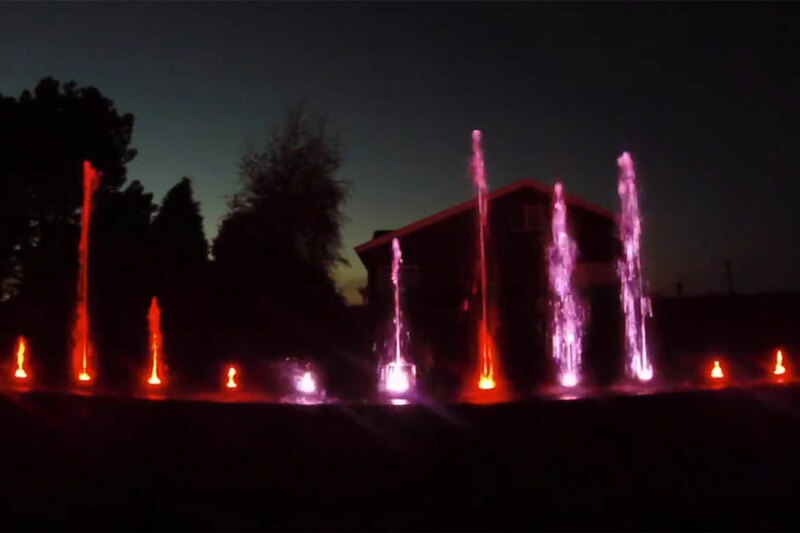 If you want to incorporate even more moving elements in your decoration, DMX controlled fountains are an ideal choice. These fountains with integrated LED light can be used as floating elements on a pond, but an arrangement with modular basins is also possible. Our mist system does not only create a beautiful mist curtain, but the micro water droplets also provide a refreshing water curtain without completely soaking the visitors. This system can be incorporated into most existing constructions or decors, but we can also provide free-standing truss structures. Of course, our systems provide state-of-the-art filters so that visitors can be refreshed in all safety. A brand new variation on the cooling system are the LED cooling balls. 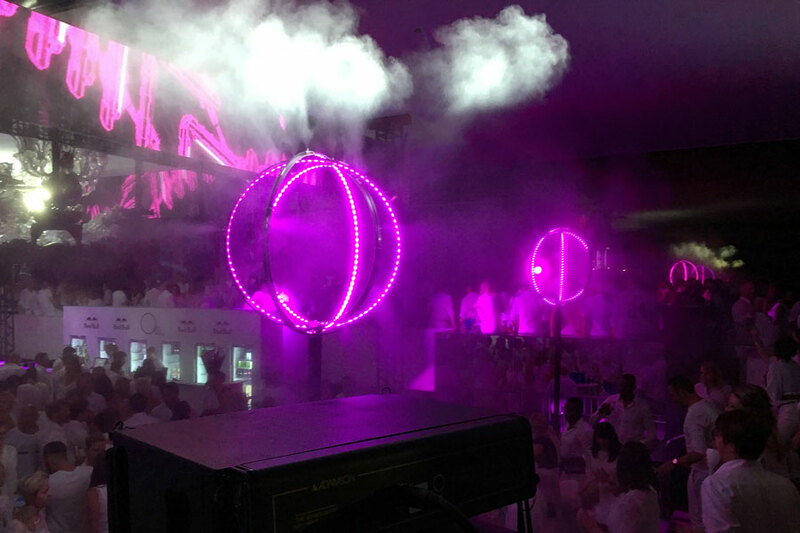 These light fixtures are equipped with 248 individually controllable LED pixels and combine the mist system with an exclusive light effect, which makes the LED cooling balls the eye-catchers at your in- or outdoor event. 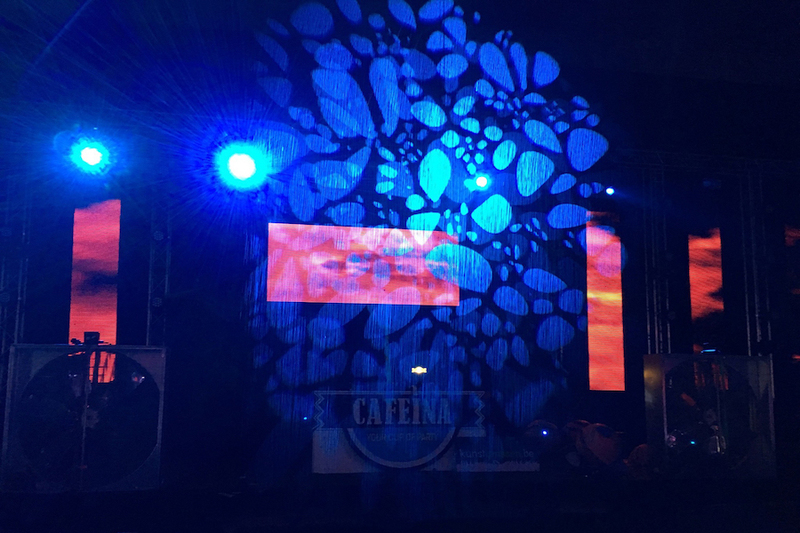 The water curtain and water screen are 2 other solutions that can provide the necessary cooling and, on top of that, are also extremely suitable as a projection surface for video or lasers. 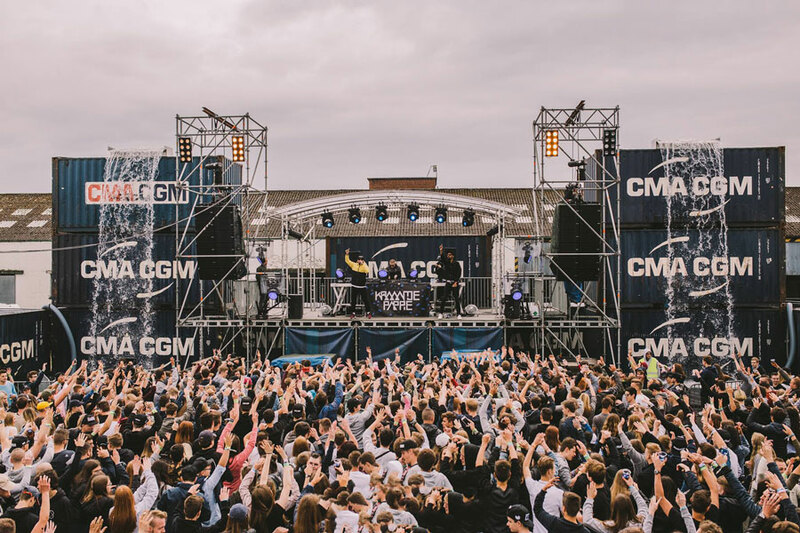 With the water curtain, you can create a waterfall that can be installed both in- and outdoor and which can be used perfectly as a video screen making logos and product videos really popping out. Even more impressive is the 27 meter wide and 9 meters high water screen at which 7theaven, in consultation with the customer, can project a full light, laser or video show. The water screen gives the images a dazzling 3D look. 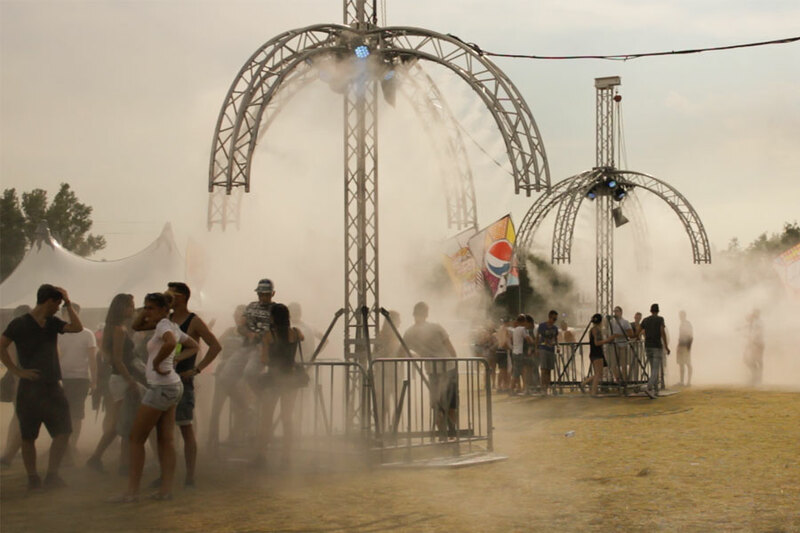 Of course, we can perfectly combine the mist system, the water curtain and / or the water screen with various water fountains, aquajets and fountain flames to create a time code controlled water show.